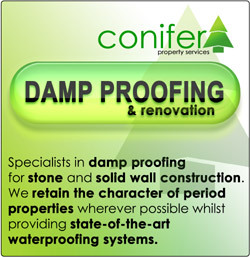 Conifer have many years of experience in various methods of damp control, including: structural waterproofing, tanking, chemical injection DPC (damp proof course) and general rising damp treatment, membrane damp proofing, cavity drain systems and Vandex slurry systems. Using only the best quality damp proofing materials to cure a wide range of damp related problems, we always work sympathetically with old buildings to retain as much character as possible with all of our property renovation work. 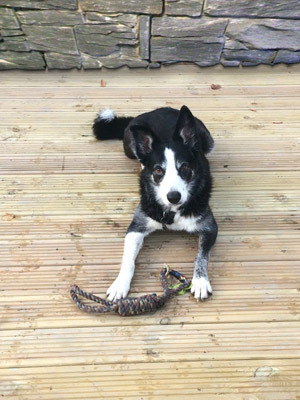 This work has taken us all over the country but the main areas we cover are: Shropshire, Shrewsbury, Telford, Oswestry, Ludlow, Cheshire West, Chester, Wrexham, Clwyd, Gwynedd, North Wales, Welshpool, Newtown, Powys, Aberystwyth, Ceredigion and Mid Wales. 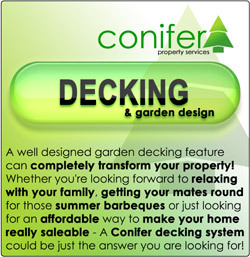 Are a great way to increase the space and value that your property can yield. 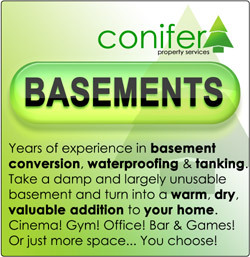 Conifer carry out Oldroyd cavity drain system and Vandex structural waterproofing slurry installation, as well as other membrane cellar tanking systems. We can also carry out all of the conversion work to complete your new rooms or we can simply carry out the tanking work - we can do as much or as little as you need to get your project moving. A new timber decking system can be installed by our decking fitters from as little as £1199+vat! Our decking team are based in Chester but our installers work all across the Cheshire West, North & Mid Wales and Shropshire region fitting to homes, caravans and chalets. A beautiful new decking system can be really affordable and make a lovely feature of a tired, cracked patio or weed strewn overgrown patch of garden. How would you use yours...? We also now offer low-maintenance UPVC Decking Systems and fittings complete with co-ordinated handrails in UPVC or glass,etc.